Hinari (Research in Health), AGORA (Access to Global Online Research in Agriculture), OARE (Online Access to Research in the Environment), ARDI (Access to Research for Development and Innovation) and GOALI (Global Online Access to Legal Information) are the five Research4Life programmes that provide developing countries with free or low-cost access to academic and professional peer-reviewed content online. Launched in 2002, Hinari Access to Research in Health programme is managed by the World Health Organization (WHO) in partnership with Yale University Library and up to 150 publishers. Public institutions in over 120 eligible countries have already registered to Hinari, which provides access to up to 15,000 journals (in 30 different languages), up to 60,000 e-books, and up to 105 other information resources. The journals can be searched through a special version of PubMed (Medline), and other article indexes. Access and further information is available at www.who.int/hinari, or email hinari@who.int. 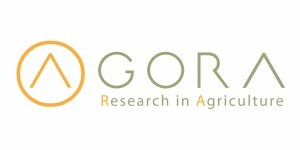 Launched in 2003, AGORA (Access to Global Online Research in Agriculture) is managed by the Food and Agriculture Organization (FAO) in partnership with Cornell University and up to 60 publishers. AGORA provides access to up to 13,700 journals, up to 26,800 e-books, and up to 30 other information resources. covering agriculture, fisheries, food, nutrition, veterinary science and related biological, environmental and social sciences in public institutions across the world. Access and further information is available at http://www.fao.org/agora, or email agora@fao.org. Launched in 2006, OARE (Online Access to Research in the Environment) is managed by the United Nations Environment Programme (UNEP) in partnership with Yale University and up to 65 publishers. OARE provides access to up to 11,700 journals, up to 27,000 e-books, and up to 40 other information resources in a wide range of disciplines contributing to our understanding of the natural environment, including environmental toxicology and pollution, zoology, botany, ecology, environmental chemistry, geology, hydrology, oceanography, meteorology, climatology, geography, environmental economics, environmental law and policy, conservation policy and planning, environmental biotechnology, environmental engineering, energy, and many other disciplines. Access and further information is available at http://www.unep.org/oare/en/, or email oare@research4life.org. Launched in 2009, ARDI (Access to Research for Development and Innovation) is coordinated by the World Intellectual Property Organization together with its partners in the publishing industry with the aim to promote the integration of developing and least developed countries into the global knowledge economy, allowing them to more fully realize their creative and innovative potential. 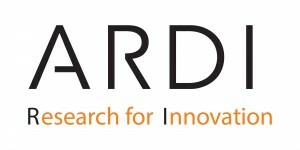 By improving access to scholarly literature from diverse fields of science and technology, the ARDI programme is designed to reinforce the knowledge infrastructure in developing and least developed countries and to support researchers in these countries in creating and developing new solutions to technical challenges faced on a local and global level. ARDI provides access to up to 7,700 journals and up to 22,000 e-books. Access and further information is available at www.wipo.int/ardi, or email ardi@wipo.int. The new programme managed by the International Labour Organization (ILO) providing free or low-cost online access to legal research and training in the developing world. 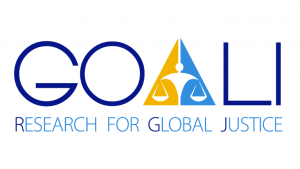 GOALI is a public-private partnership of ILO as a UN agency, together with Brill Nijhoff, the International Training Centre of the ILO and academic partners Cornell Law School Library and the Lillian Goldman Law Library at Yale Law School. Users can access up to 2,500 peer-reviewed journals and up to 12,000 e-books in selected subject areas of law from the world’s leading academic publishers. Access and further information is available at www.ilo.org/goali, or email goali@ilo.org.